I really, really, really LOVE what I do for a living. Capturing those special moments and saving them for a lifetime. Denise found my website and asked for a special shoot for her and her husband Ricardo. 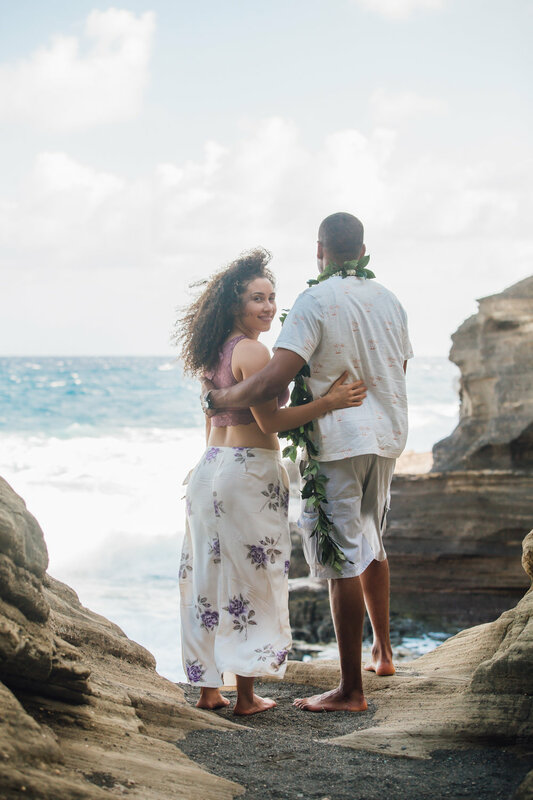 They were happily married and visiting Hawaii for the very first time. Having seen some of my previous work they wanted me to capture some special moments of their visit to the islands. 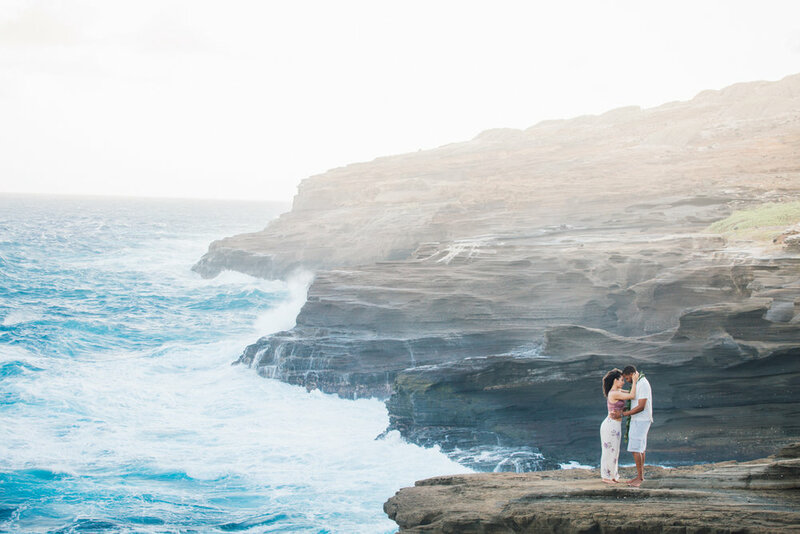 Instantly I knew the best location to take them to, Lanai Lookout just behind the world famous Hanauma Bay. Here lies an amazing stretch of coastline, born from volcanoes and fire and sculpted by the ocean. 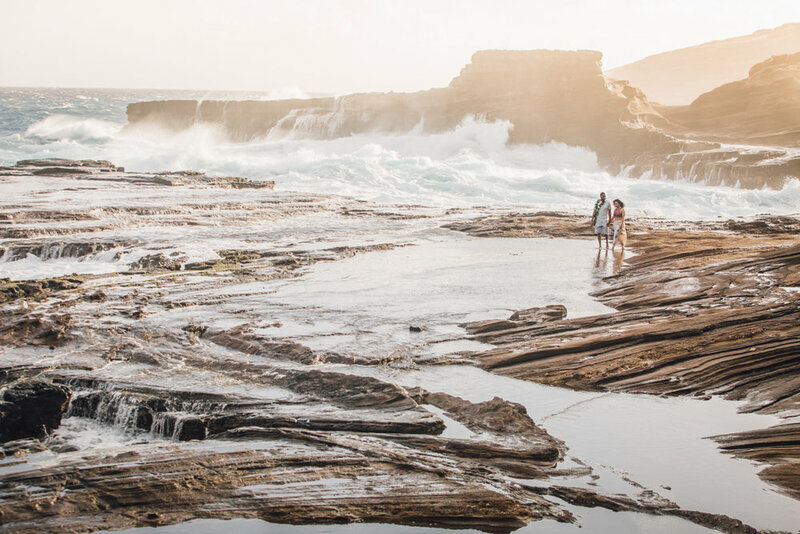 The layered rocks and crashing waves make for a breath taking backdrop. First off we visited a Lava tube, carved millions of years ago by an active volcano, it takes you under a busy freeway and out to a small plateau. You feel isolated and away from the hustle and bustle. Its a good place to relax and reflect. Following that I took them on another little hike to a reef outcrop and tidal pool area. The rocks here are multi layered and sworn smooth from the ocean that rages right next to you. And raging it was, probably the biggest storm surf Ive seen which made for spectacular wave action behind my couple. Lastly we returned back to the lookout area for the majestic cliffs and beautiful afternoon light that pours over that side. 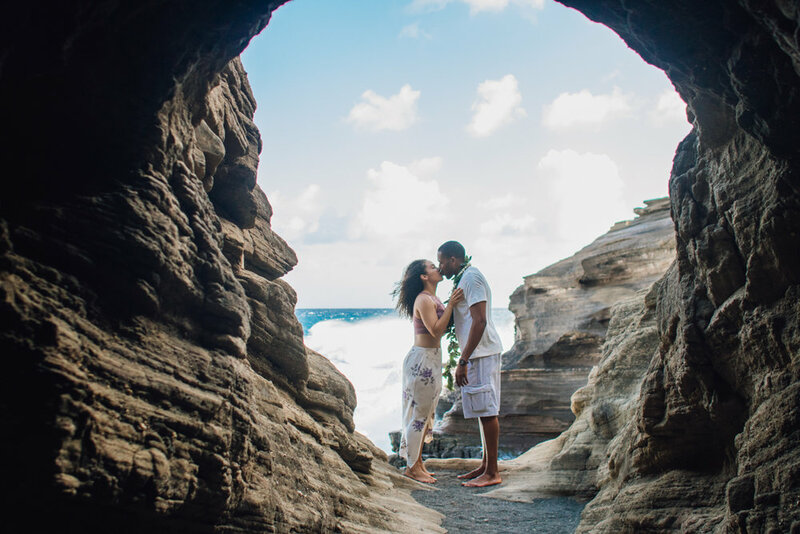 Such a great couple, a joy to work with, I love showing people unseen Hawaii. They had an absolute blast! A small note on safety: This area is high risk for people getting swept away, always go with a guide and observe the conditions before venturing close to the water. Wet rocks generally mean the tide washes up high and you could be swept into the ocean. Never turn your back on the water either, she's an unforgiving beast.